To the lower right is Washington, which was originally southbound US 71. 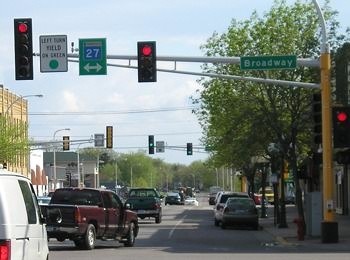 To the left on Washington (which is now part of Paul Bunyan) was northbound US 71 as well as westbound US 2. Eastbound US 2 was off to the center right on Paul Bunyan, and that was also the north beginning of US 371. 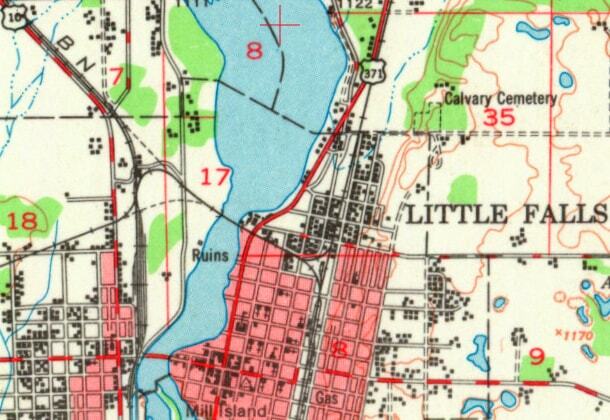 US 2 and US 71 are both on newer bypasses now, so the old road through Bemidji has been renumbered as MN 197. 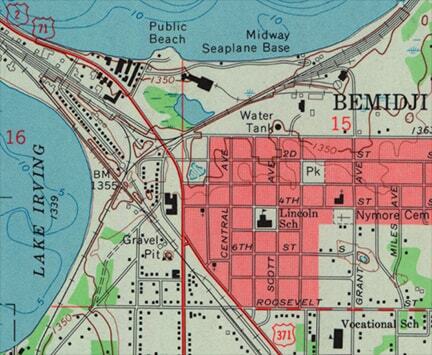 ​In 1971, US 371 was replaced with today's MN 371 designation. 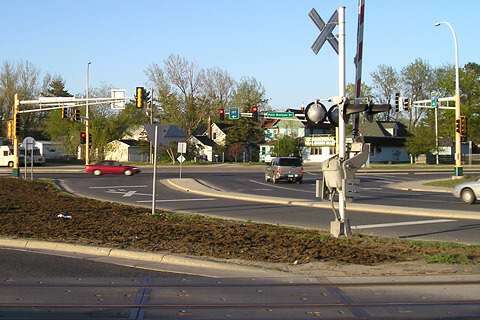 The Little Falls bypass was built just a year or two later, so now neither US 10 nor MN 371 go through that downtown intersection. About 20 years later, the US 371 designation was recycled and applied to another highway in a completely different part of the country. last updated Jan. 28, 2018.